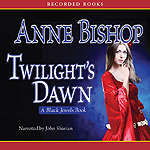 New York Times bestselling author Anne Bishop’s “darkly fascinating”* Black Jewel novels have enthralled readers and critics alike with their mixture of fantasy, intrigue, and romance. 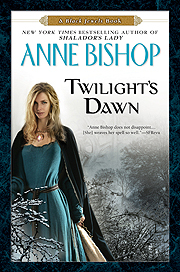 Now in Twilight’s Dawn, Bishop returns to the Blood realm with four all-new captivating novellas. After losing the two most important people in his life, Daemon has assumed his father Saetan’s role as High Lord of Hell and built a wall around his heart. But when he inadvertently forges a new connection, will it be enough to break him free from his loveless life?